HCHS seeks parents to offer insights into their professions to Juniors and Seniors at its inaugural Career Day on Wednesday, January 18th, 2012, 4-7 p.m., at the school. 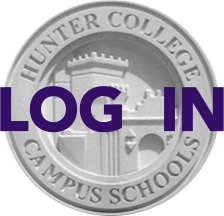 Interested parents, please email a professional summary or curriculum vitae to Counselor Jenna McLaughlin at jmclaugh@hccs.hunter.cuny.edu. In return you'll get stimulating interaction with students—and refreshments, too! And you might just change someone's life. Check the Career Day site for updates as planning continues.